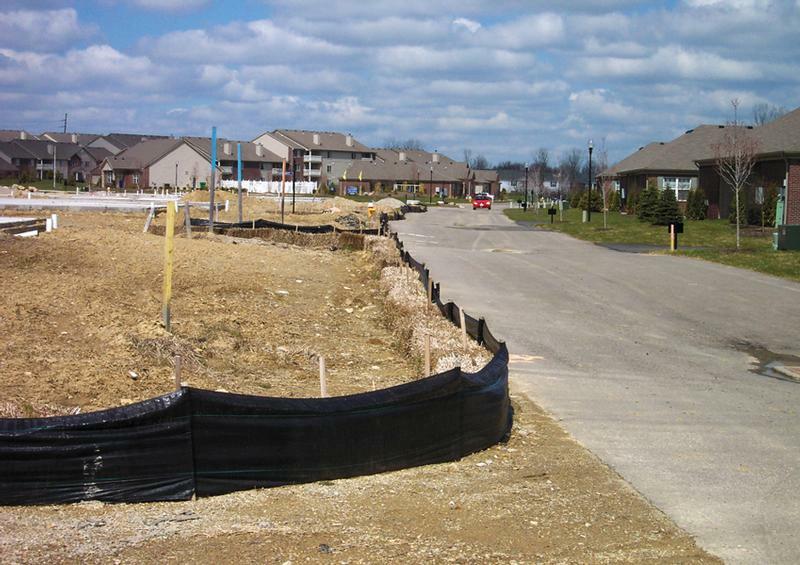 Stormwater Information for Contractors - "You Can Make a Difference"
Residential and commercial construction sites are the leading cause of soil erosion and sediment runoff in urban areas. During periods of rainfall and snowmelt, improperly managed construction sites contribute more sediment to rivers and streams than would be deposited naturally. Pollutants often found in construction site runoff include sediment, pesticides, fertilizers, petroleum products, construction chemicals, contaminated soils, paints, debris and sanitary waste. Contractors can minimize the amount of pollutants that enter our waterways by implementing erosion control measures both during and after construction. Below you will find the "Stormwater Quality Inspection - Active Construction Sites" YouTube video sponsored by various stormwater management groups. This video explains the Stormwater Quality Inspector's overall responsibility when inspecting an active construction site for compliance with its stormwater quality permit. Minimize clearing and grading by avoiding extreme slopes. Protect waterways and stabilize drainageways. Phase-in construction to limit soil exposure. Temporarily seed disturbed soils as soon as possible. Prepare entrances and exits with materials that reduce tracking of soils off site. Install perimeter controls to filter sediments. Keep sites clean by properly disposing of trash and litter. Implement management practices to prevent, reduce or treat stormwater runoff. Establish storage or detention controls to collect stormwater. Below you will find the "Proper Concrete Washout Procedures for Contractors" YouTube video sponsored by the Indiana Ready Mixed Concrete Associations and other various groups. The goal of this video was to add practices for properly managing concrete washout and concrete finishing discharges for end users. The video features updated BMPs including how to washout in smaller areas. Please take a moment to watch the video and learn to do the right things to help protect our environment, especially focusing on ways to keep our waterways clean.